I love roasted garlic hummus. I serve it to guests who have never had traditional hummus or to those who don't care for tahini in hummus. It has a rich garlic flavor that is not overwhelming - it's just right. In a food processor, process beans, garlic, olive oil, lemon juice and oregano until desired consistency. If hummus is too thick, simply add olive oil in small increments (1/2 teaspoon) until desired consistency. 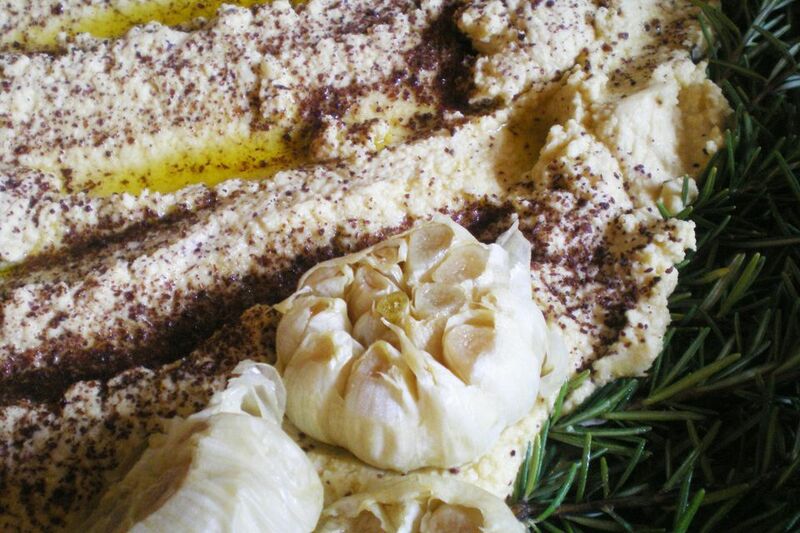 Serve roasted garlic hummus garnished with finely chopped parsley with hot pita bread, pita chips, or veggies. Roasted red pepper hummus goes very well with cubes of warm Italian bread. Hummus can be prepared in advance up to two days if stored in airtight container in the refrigerator. To serve, heat in microwave or on a stovetop.